Ok, one new book, and everything else is older, but it’s all new-new stuff for. And so very pretty! All the world, from Scirland to the farthest reaches of Eriga, knows Isabella, Lady Trent, to be the world’s preeminent dragon naturalist. 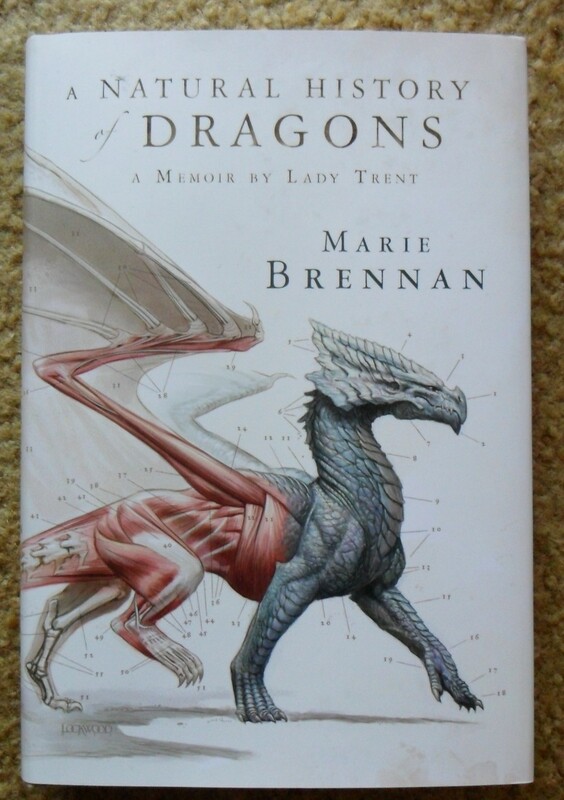 She is the remarkable woman who brought the study of dragons out of the misty shadows of myth and misunderstanding into the clear light ofmodern science. But before she became the illustrious figure we know today, there was a bookish young woman whose passion for learning, natural history, and yes, dragons defied the stifling conventions of her day. Here at last, in her own words, is the true story of a pioneering spirit who risked her reputation, her prospects, and her fragile flesh and bone to satisfy her scientific curiousity, of how she sought true love and happiness despite her lamentable eccentricities; and of her thrilling expedition to the perilous mountains of Vystrana, where she made the first of many historic discoveries that would change the world forever. Wowza!! When do I get to reward myself with reading this?? I’ll make you a deal: after I review Iain Bank’s Use of Weapons, and finish Athyra by Steven Brust, Seeds of Earth by Michael Cobley, and King of Thorns by Mark Lawrence, I’ll reward myself with this beautiful book! 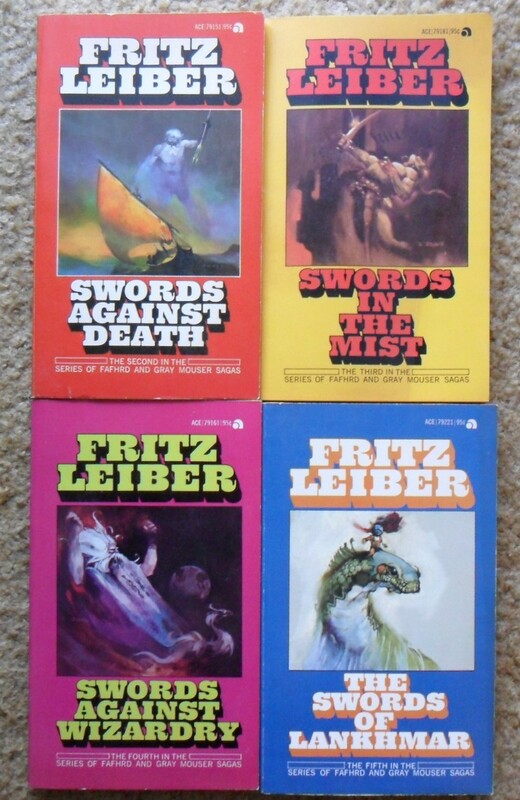 Husband got me addicted to Fritz Leiber a few months ago, and we’d picked up the first book and the last book in the Fafhrd and the Gray Mouser series, so it was nice to find all the middle ones in the same printing. You don’t need to read these in any particular order (book “one” was actually written last), but there is a sort-of chronological order to the lives of the characters. and speaking of “you don’t need to read them in chronological order because they weren’t written that way”, I’m slowly filling the gaps in my Steven Brust collection. The problem is that I forget what I’ve purchased, so sometimes I end up with duplicates. I can tell in the first couple pages of a book if I”ve read it before, and at the store I was pretty sure I was missing Athyra, so I grabbed it. I started reading it last night, this one was a good choice, as I”ve read the one that comes right after like 3 times, so it’ll be nice to see how that situation came about. 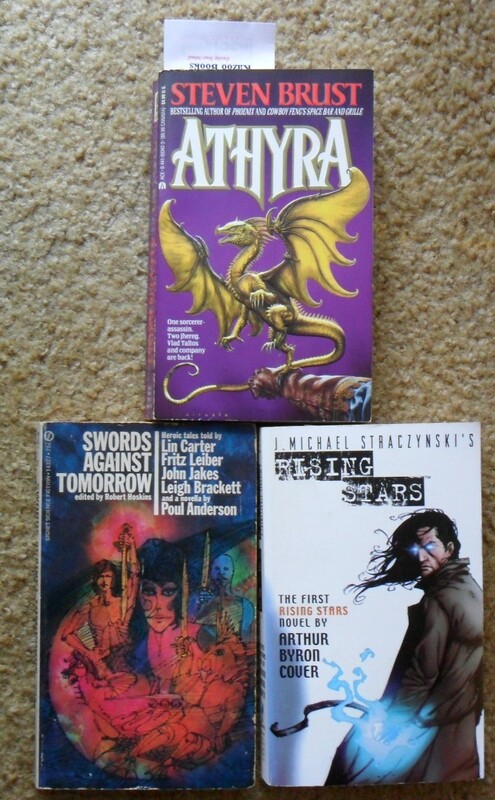 The Swords Against Tomorrow collection is a little volume of sword and sorcery and sword and planet tales, including a yes, you guessed it, a Fritz Leiber Lankhmar tale, yay! 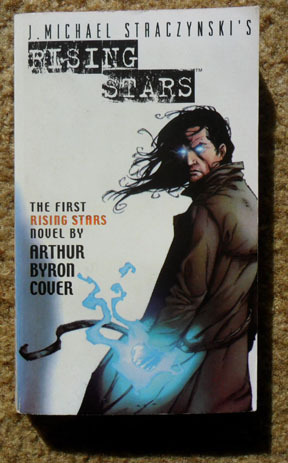 I couldn’t resist the Rising Stars novel by Arthur Byron Cover. 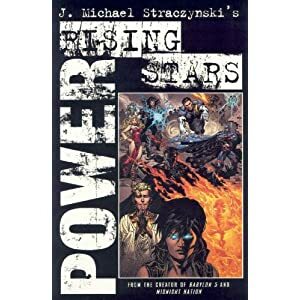 You probably recognize the name J. Michael Straczynski from Babylon 5, but he also wrote a wonder trilogy of graphic novels called Rising Stars. A little like X-Men, but no exactly. I hope I can find more novels in this series, as I LOVED the graphic novels! For the most part, all this new stuff is rather slim, which means I can cram it into the remaining nooks and crannies in my bookshelves. It’s a good thing Superman wanted to be a nice guy, wanted to be a good guy, didn’t mind being famous, the center of attention. What if he’d just wanted to live a normal life? If you had a superpower, would you use it for good, or for evil? Would you use it to help the world, or to help yourself? What if you tried to do the right thing and the world didn’t want your help? In the late 1960’s, a fireball from space hit the rural Illinois town of Pederson. A flash, a bang, and every child born Pederson in the next nine months are special. Kept in Pederson and observed by government doctors, the children, known as “specials” developed different powers at different times. Flight, or mind reading, or super strength, or telekenesis, for example. Some developed fairly useless skills, and some never developed anything, but the government still watched. Everything started out so perfectly, and once upon a time everyone was friends. But children grow up, and friends drift apart, and super strength only makes you invulnerable against bullets, not corruption. But this is not your standard superhero story. This is not about good vs evil, it’s not about saving the world. Well, it is about saving the world, a little bit, just not in the way you think. It’s a little bit X-Men mixed with a little bit of Heroes, mixed with a little bit of Highlander, with some of the best graphic novel writing in the business. J. Michael Straczynski’s Rising Stars just completely floored me.